Lunch in most of the western world is the midday meal. When we were growing up in Newfoundland, Rick and I didn't know lunch in that way. One of the things we did know, however, was 'lunch goin' to bed.' This was the fourth meal for many Newfoundlanders, the milk, or tea you had with bread/toast or whatever was available. Mainly it was bread/toast and tea. In my family when you had a 'little lunch' it was an afternoon snack, as it was at my great grandmother Hearn's house. She always had something for her visitors. Mary Hearn always busied herself getting a little lunch for Mom and me whenever we visited her. My mother always remembered her the same way when she and her brothers visited Maa Hearn, as they called her. In addition, she always had coppers (pennies) saved for them as well.They always looked forward to their visits after which they went to the shop nearby and bought candies with their coppers. What is now called lunch was dinner to us. Even today we call the midday meal dinner and need to be very specific of the meal time for our midday meal guests. In this twenty-first century, our granddaughters have snacks during the day, lunch at noon and they won't know about coppers because they are no longer in circulation. Change! During the first two and a half years of my life, my parents and I lived with my grandfather in St. John's, Newfoundland. I have some great memories from that time. One involves playing with my grandfather when he came home from work in the morning after a night shift. I climbed over him, laughed to tickles and jumped on the bed. I loved that time and so did he. The most vivid memory however happened when I was alone in my bedroom. My grandfather's house had four bedrooms and a huge bathroom on the second floor. My bedroom was in the middle of the second floor, opposite the stairs. It was a narrow room and my crib was at the back near the window. There was a chest of drawers near the crib. I can still picture that room. I had a cold and was very congested. My mother put a mentholated rub on my chest. (Claire uses the same rub today with Sylvie and Caitlin when they have colds.) When she was finished, Mom put the container on top of the chest of drawers and tucked me in my crib. Curious I guess and able to reach it, I grabbed the jar and opened it somehow. I proceeded to rub it in my eyes, hair, nose and mouth. I distinctly remember the burning sensation, the smell and taste of that stuff. Screaming ensued. Mom cleaned me up but it took some time for the burning in my eyes to stop. Mom swore that I wasn't congested the next morning. Even today, the smell of that rub brings me back to that night in the crib on Old Topsail Road. I know very little about my great grandmother Stewart. I know she was born about 1860 and married my great grandfather, Thomas Stewart, in the 1880s. Mary and Thomas had their first daughter Mary, who was called Min by her family, in May 1886. Later that same year she had twin girls, Anne Joseph and Sarah Margaret. They both died. In 1889 Mary and Tom had a boy who they named Alexander Francis. I think he died early as well because there wasn't any reference to a brother among the three surviving sisters. 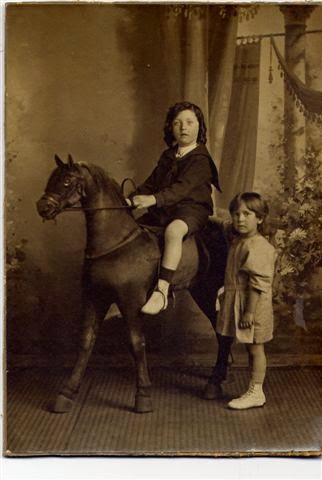 Then in the latter part of the 1890s, the Stewarts had two girls, Ida and Bella. The godparents for Anne Joseph, were Samuel Jan and Ann Walsh. I suspect this Ann Walsh was related to Mary, her sister, or cousin. As well, the second names of the children Joseph for Ann and Francis for Alexander may be clues to Mary's parentage as well. I found one Francis Walsh, listed among the St. John's house/sign painters in the Rochfort Directory of 1877. While Walsh was a common name in St. John's at the time, there aren't any Joseph Walshs listed in the St. John's area. Mary may have been from St. John's, another part of the island or a first generation immigrant and I may never know the truth. Mary died in 1924.This was during the time when Sam, Ida and the children lived with Tom and Mary on Water Street. Ida and Mary were in the kitchen, Mary sat holding baby Angela in her lap. Mary died, dropping Angela on the floor. Angela was unhurt. Having witnessed my own mother's sudden death, I can imagine Ida's thoughts and feelings about the incident. My great grandmother was buried in Belvedere Cemetery in the plot with James Healey, Min's first husband. 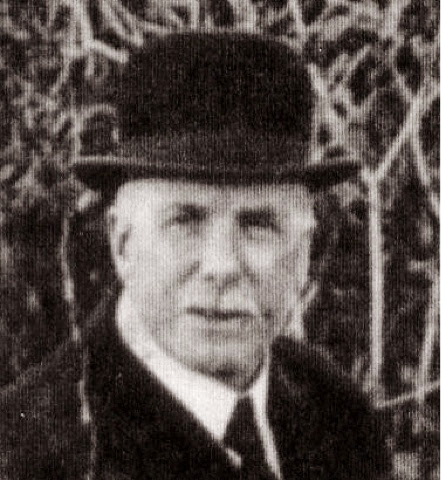 Mary's grandson Albert was buried in that same plot in 1921. Later, her grandsons Jackie and Robert, husband, Tom and daughter Ida would be buried there too. For years when I was young, my father, grandfather, my brother, Frank, and I tended that grave at Belvedere. I know a little more about Mary now than I did at that time, but there are certainly more questions than answers. However Mary now has her place in our family history. She was an unconventional woman of her time. Mary (Min) Stewart was a woman who worked as a machinist in the Newfoundland Tannery around 1900. She boarded with her parents while she worked prior to marrying James Healey. There is a James Healey listed as a shoemaker on the South Side Road in 1904. I suspect this was her husband. He and Min married but he died in 1911. They didn't have any children. He was the first president of the People's Club in St. John's. The club erected a headstone in his honor after his death. Members of the Stewart family are buried there with him, Thomas. Mary, their grandchildren Albert, Robert and Mins's child by her second husband, eight year old Jackie Grills. After James Healey's death, Min worked as a stewardess on the SS Meigle, which sailed between St. John's and North Sydney. In 1915, she married John (Jack) Grills who was eight years older than Min. The wedding announcement was published in the newspaper. Wedding Bells: The wedding of Mr. John Grills, chief steward of the SS Bruce and Mrs. M. Healey, both of St. John's, Nf. took place in North Sydney. 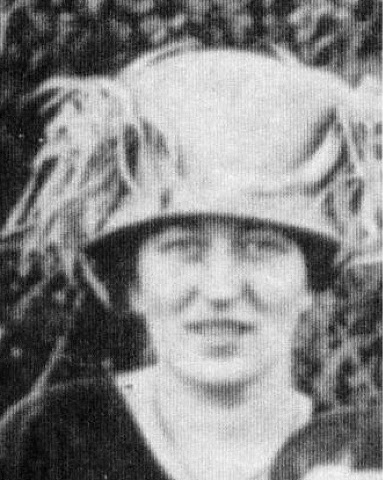 The bride was assisted by her sister, Miss Ida Stewart, the groom was attended by Mr. Barnes, chief engineer of the SS Bruce. Their first child, Charlie Stewart Grills was born the next year. Charlie died in Saanich, British Columbia in 1973. Jackie was born in 1920 and died in 1928. Min stopped working when she married both times, however she worked prior to her marriages. This wasn't that unusual but most women worked as domestics one hundred years ago. Min worked as a machinist, certainly an uncommon occupation at that time. Her father worked at the tannery as an engineer, so I imagine this helped pave the way for Min. She was ahead of her time for certain. Min's son Charlie worked as a firefighter in St. John's. My Aunt Angela Pretty Woodford said that every time the fire trucks went down the roads or the alarms sounded, Min was upset and worried about Charlie. After she died, he moved to the mainland. My Aunt Muriel was very close to Aunt Min. She lived with Min and her family for many years and Charlie was like a brother to her. 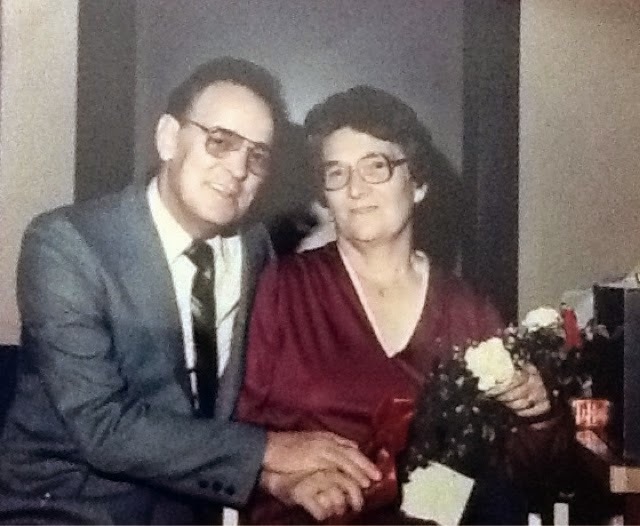 She had fond and loving memories of Aunt Min and Uncle Jack. I've learned some things about Thomas since that time, though not from my grandfather. My sources are the census and business information for his lifetime in the country of Newfoundland and the province of Nova Scotia. Old Tom immigrated to Newfoundland from Nova Scotia in 1881 and married Mary Walsh Stewart sometime in the 1880s. They had their oldest child, Mary who they called Min in 1886. Within six months they had twin girls who must have been premature. I suspect they died soon after birth. They were named Anne Joseph Stewart and Sarah Margaret Stewart. Three years later they had a boy, Alexander, who I suspect died early as well. Then there were two girls, Ida and Bella. Through extensive searches I discovered that Tom was from Pictou, Nova Scotia. His father's name was Alexander and his mother, Helen or Ellen, depending on which census you examine. In one, after Alexander's death, her place of birth is listed as Prince Edward Island. It looks like Alexander was born in Scotland in 1799. Alexander Stewart is/was a common name in Nova Scotia so finding the correct one on ship's passenger lists has proved impossible. He was twenty plus years older than Helen, so had he been married earlier to someone else, or did he just marry late for that time? Did he travel to Nova Scotia with other family members and how old was he? Impossible to know! 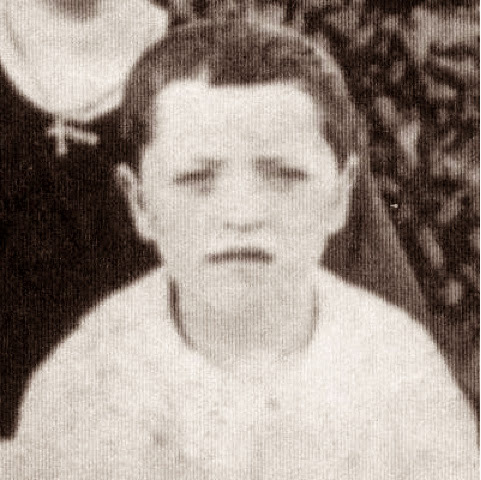 Thomas, born 1861, had two siblings, Elizabeth, the oldest and Robert, the middle child. They may have been educated at Pictou Academy. Elizabeth was a teacher, Robert, a dyer, and Thomas, an engineer. Both of Thomas's siblings appear to have stayed in Nova Scotia. Elizabeth, born 1851 in Antigonish, Nova Scotia, married William MacKay in 1895. They didn't have any children. Robert, born in 1856 in Pictou, Nova Scotia, married Rebecca Gray. They had four children, Alexander, Elizabeth, Thomas and Elkanry. In the marriage records for Elizabeth and Robert, Alexander was listed as a dyer. In the early records the family's religion was stated as Church of Scotland. Among their beliefs Church members thought that the way to God was through education. In Newfoundland, Thomas worked as an engineer at the Newfoundland Tannery. He lived with his family in the west end of St John's, on Job or Water Street across from the Newfoundland Railway Station, most of his married life. We have relatives among the many Stewarts in Nova Scotia and Scotland obviously but we may never connect with them. It would be interesting to know from which of the ancestral Stewart lines in Scotland our relatives originated. 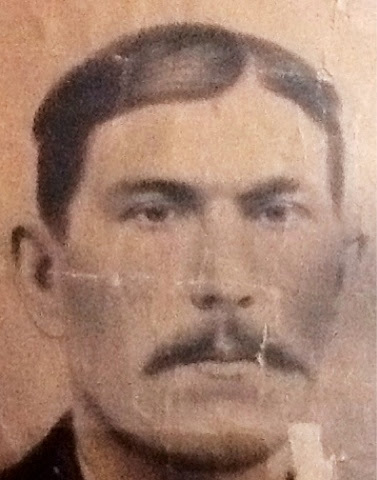 My great grandfather Thomas Stewart was an enigma to me. Thomas was my grandfather (Pop) Pretty's father-in-law. From the way my grandfather always talked about him, I think that he looked up to Old Tom, as Sam called him. Sam and Ida named their second son Tom, so the older Tom got the extra adjective in his name. There is a great story about Old Tom. On his way home from the train station on a cold March day, Pop dropped in to visit Old Tom at his house opposite the train station on Water Street. Tom's wife, Mary, had died four years earlier. Sam went into the house but not seeing Tom, climbed up the creaky stairs and opened his bedroom door. Tom, fully dressed, asleep on top of the bed clothes, woke suddenly and instantly sat upright. Old Tom blurted out through a newly awakened haze, "Are you going to the race?" Not knowing what he was talking about, my grandfather asked, "What race?" It was too early for 'the races' as locals called the regatta, held in August. Tom replied, "The human race, the race for life." Pop didn't say anything because he didn't know how to respond to that statement. After a few quiet moments together and a brief chat about family things, Pop continued on home. Within a month, Thomas Stewart was dead. Pop always referred to Old Tom as a religious man. Sam and Ida had lived with her family after they got married and they stayed close by even after the Prettys got their own place. 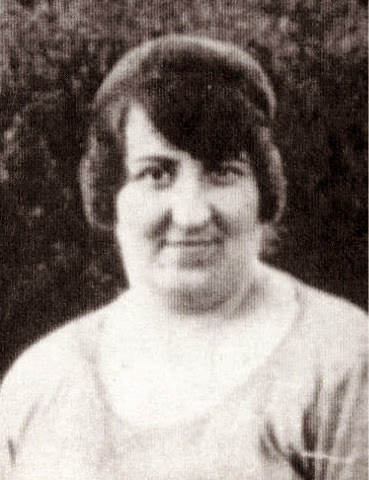 Ida was close to her family throughout her life. Pop saw how Old Tom lived and prayed. Of all the family my grandfather had lost, Thomas Stewart was the only one he had ever spoken about to me. 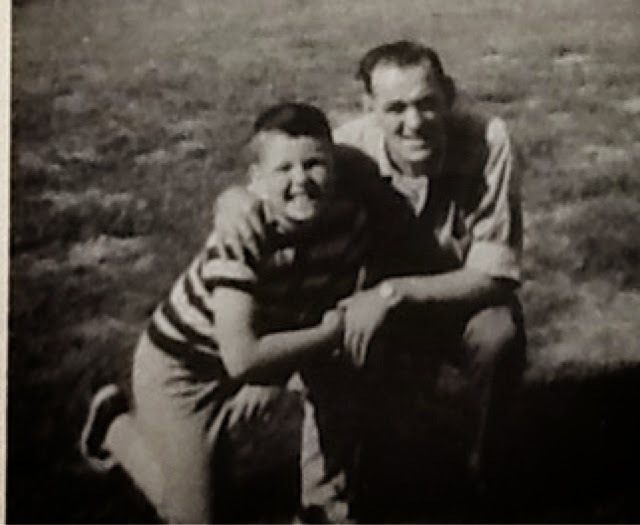 Since Pop's father had died when he was seven, Old Tom was a father figure for him. Sam really missed him and kept his memory alive throughout his own life. Ida Stewart Pretty was my grandmother. She married Samuel Pretty on June 4, 1917. Ida was the middle child of three girls, with an older sister Mary (Min) and the younger one, Belle. Her parents were Mary Walsh Stewart and Thomas Stewart. Sam and Ida had seven children and Ida parented alone a great deal because Sam, as an engineer on the railway, was away from home for days at a time. Two of her boys died in childhood, Albert and Robert. 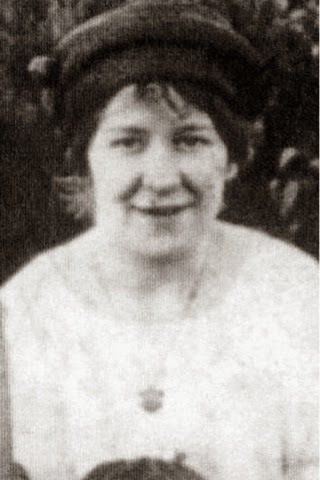 Her parents and her sisters and their families were very important in Ida's life. She and Sam lived with her parents, across from the railway station, for a time after they got married. They moved a few doors away when they moved out and eventually bought a railway house on Avalon Terrace in the west end of St. John's. A neighbour from Old Topsail Road told me years ago that Ida was a lovely woman, talented, good and kind. She was a good mother to her children, according to my father and his sister, Angela. She always tried to make things nice for her family. She decorated the Christmas tree after the children were in bed on Christmas Eve and had special presents for each of them. Her Christmas pudding was one of my father's favourite foods. Ida loved music and she played piano all the time. She had nice things, such as fine china, and nice furniture. Ida's children were dressed well because Sam provided a steady income for his family. When she was diagnosed with uterine cancer, Ida kept going as long as she could. She worked in her kitchen using a chair which Sam had adapted so she was supported as she worked. She died quickly after she was confined to bed. Her children each went their own way soon after their mother died. Ida was like the glue that kept the family together. She was missed terribly by her family. My second name is Ida and Dad always said that I looked like his mother. I've missed her my whole life! Summerside has been our home for almost four years now. When we decided to move to Prince Edward Island, we wanted to live near Claire and Ben but in a larger center where services were readily available without much travel. Summerside fit the bill. The choice of Summerside has been a great one for us. We're constantly amazed with how much is in this community compared to our previous home in Grand Falls-Windsor. In addition, we never hear that the stock hasn't arrived because of problems with weather or the Gulf ferries. That is a problem unique to Newfoundland. Here, stock is constantly supplied to the retailers because of the bridge and our proximity to mainland Canada. While the bridge may be closed to high sided vehicles periodically, it never seems to last for long. Everything is available quickly from our perspective. It's amazing to us to hear a store clerk say, apologetically, that it will take two days to get a part or desired item. Our Newfoundland sensibility is very pleased with that prospect. We are also fascinated with the Canada geese that appear every spring on their way north like other Canadian 'snow birds' who winter in the south. These beautiful creatures appear again in the autumn as they head south. We didn't see the flocks of Canada geese like these in Newfoundland. Their unique sounds, flying formations and appearance all captivate us. The first autumn that we lived here, we were amazed with the number of geese that landed in Summerside Harbour during the day. Walking along the boardwalk by the bay we stopped to watch and listen every day. One day, a passerby commented, "Too bad you can't use a shotgun here, hey?" We were taken aback. We weren't picturing them on the dinner plate but of course people hunted them. Every fall hunters wait in blinds by the fields frequented by the birds to shoot geese for the dinner table. In 2007, Rick and I toured Ireland which we thoroughly enjoyed. One evening, at dusk, we were on a beautiful bay in a tour boat with people from all over the world. Various creatures inhabited the air, land and sea of that bay including seals. Others on the boat were enchanted with the seals. Not us! All we could see was seal flipper dinner! Our Newfoundland sensibility was at work again. PostScript: the geese are in the skies above Prince Edward Island again. Welcome back dear honkers. Samantha Pretty, Frank and Michele's daughter, is part of the Canadian team at the World Powerlifting Championships in South Africa in June this year. Way to go, Samantha! My friend had a stroke. She's not that old, not much older than I am. It's scary to think this has happened to her. She is in my thoughts and prayers. Thankfully it was a slight stroke. Peg Beresford Moore is a gifted craft-person. She can work leather, knit, crochet, cross stitch, do needlework, make crafts and cards, just to name a few of her many talents. Her work is exact because she is a perfectionist. Peg takes her time with things and when she's done, she has produced a work of art. In fact, she taught Art at one time as well. As the only girl in a family of six boys, Peg learned to assert herself amid the natural rough and tumble of a group of young boys. She did this while maintaining the delicate hand of an artist who can do the finest work. Being a Math/Physics teacher by profession also makes Peg precise. There isn't room for sloppy work here. Peg also worked as a librarian, so organization is her forte as well. Her career choices played to her strengths. A giving person, Peg is always willing to share her time and talent with others. 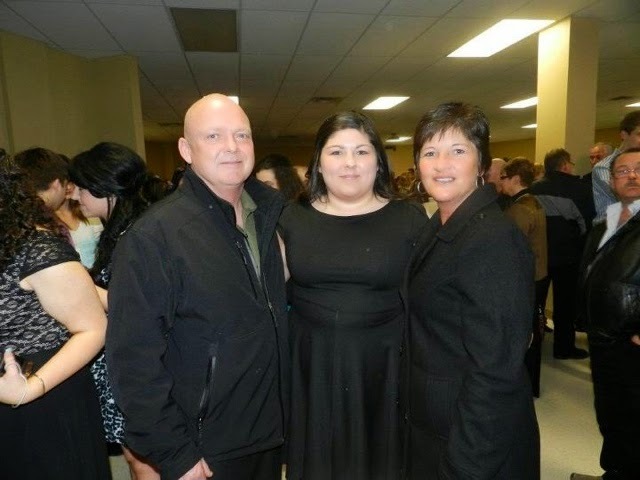 She has volunteered as a treasurer for various organizations and has been involved in the Girl Guide movement in various capacities since she was a young girl growing up in Buchans, Newfoundland. The Moores have two wonderful children, Paul and Karen, who are similar to their parents in their academic ability and are warm, caring people. 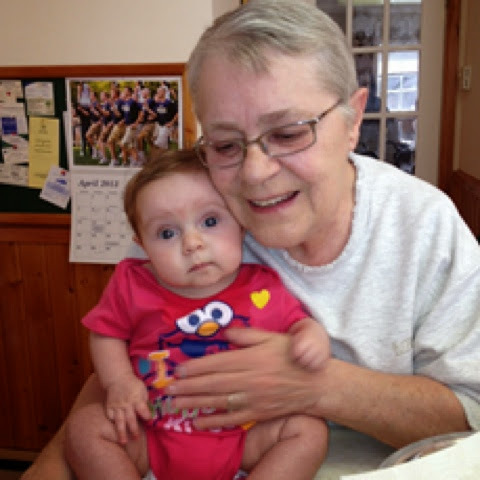 Peg and her husband, Joe, have a little granddaughter, Laura, who they adore and who amazes them every day. They hope to have many years together to watch their sweet baby grow. Here's to you, Peg, a true friend with deep faith and spirited conviction. You showed me what it means to be passionate about issues/life and how to be a real friend. I wish you a complete and speedy recovery. Peg makes a delicious spaghetti sauce that my family loves. It's a flavourful recipe from a great cook. Cook the ground beef until it just loses the pink color. Add the onion, celery, green pepper and cook until the onion is tender. Stir in the tomatoes, tomato paste and spices. Simmer uncovered for one hour on low heat. It is good the day it is made and better the next day. It freezes well too. A mother's knowledge of her baby's cry and the instinct as to the required response are amazing results of evolution. Being around my young grandchildren now, refreshes my memory about the types of crying. From the whining to the serious hard cry of injury, isn't it amazing how quickly caregivers learn a child's cry? Young children quickly learn how to 'get' to us with their crying. 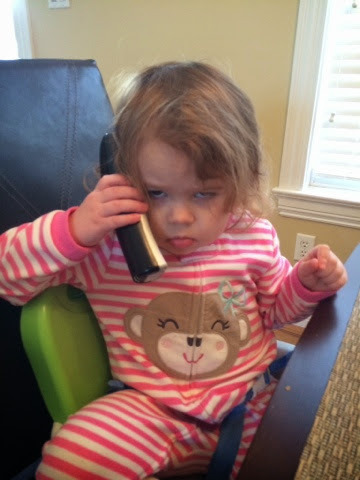 Our oldest granddaughter, Sylvie, has our number and it's taken determination and patience to ignore the crying when it's the result of a 'no' from her grandfather and I.
Sylvie is a great little three year old person. She loves to play, watch Dora, do ballerina moves, listen to stories, 'play' with her sister until Caitlin touches something of hers. Sylvie is learning the meaning of 'no' and Nanny and Poppy Smith are re-learning what they did with her mother. However it's really hard as a grandparent to hear that sweet little girl cry and not cuddle or give in to her when she cries for something that can be so easily done or fixed. Raising Claire, the choice was easier because we were busier I think. We didn't have time to coddle her even if we were so inclined. It's incredible that discipline gives children a sense of security, one of the important needs of all people. The sense of security that comes with routine and knowing where the boundaries are help create a person who is a contributing member of society. I am older now than my father, Samuel Pretty, was when he died. (Sigh of relief). I have had this age on my mind for a few years now and as it got closer, it seemed more threatening. Then life intervened and I forgot about the passing days and the looming date. It passed without recognition on my part. Yesterday as I walked in the cool spring air in Prince Edward Island, it occurred to me that the day had passed. As of tomorrow, Dad has been dead for twenty eight years but I've thought about him more and he's felt closer now then he has in years. I guess the age comparison is the thing that caused the thoughts and feelings. Poor Dad. He had health issues all his life but when he retired, he and Mom had enough money to be comfortable and time to do things they wanted. He got cancer. Dad was on the cusp of having time and ability to enjoy life, grandchildren, travel, relaxation, and puttering around in the shed and basement which he loved to do. Then he was gone. I won't waste a day of the rest of it, Dad. Today is my brother's birthday which makes it a special day; a day to celebrate Frank. When our daughter, Claire, was born, my brother was the first one in the family to see her. He got a ride to Central Newfoundland where she was born and was at the hospital with us to take her home. It made the day and the occasion very special. That Christmas Eve, Frank was Claire's first babysitter when Rick and I went to Midnight Mass. He's been protective of Claire her whole life. There have been numerous occasions when Frank has been there for our family and he was there every day for Mom and Dad to the day they each died. He is a loving father and husband. You deserve the best birthday ever, brother! Additional good news today, Samantha won a gold medal at the Canadian Powerlifting Championships. Way to go! You are a woman of incredible strength, in every way. This week Newfoundlanders are remembering the one hundredth anniversary of the sealing disaster which took the lives of so many men. It was March 30,1914 and vessels which had left Newfoundland ports in pursuit of the seal herds were in thick ice with seals all around them. That morning, the S S Newfoundland, dropped 132 men on the ice. They were tasked with walking the ice flows, killing seals and hauling them back to the boat. However, a sudden winter storm foiled those plans. Many of the men froze to death or plunged into the icy water as the ice pack undulated with the wild seas below them. Only 55 survived that disaster. That same day, due to the same storm, the S S Southern Cross sank on its way back from sealing in the Gulf of St. Lawrence, killing all 173 men aboard. Pursuing a livelihood on the ocean is a dangerous pursuit, even today, but in that time it was much more so. The cold, shortage of food and clean water, the danger to the ship in the packed ice, the danger on the ocean itself to the poorly dressed, ill-equipped men were part of the danger. The enticement was the $30-$40 that the 6-7 week trip afforded each man and a share of seal meat. The driving force behind the dangerous pursuit was 'the long and hungry month of March' as Newfoundlanders called it. The supplies stored for the winter during the previous fall were greatly depleted by the time March came around each year. The money and meat from the 'swilin', (sealing), got families through the spring. Starvation was the alternative. My grandfather O'Brien went sealing one year, but that was enough for him. He thought it was too dangerous and his family needed him in the long term, so he didn't go a second time. However, in the spring, he and some friends from Maddox Cove, went to St. John's 'at the fat' as they called it. The friends stayed at a boarding house on the Southside Road, working all day to extract the oil from the blubber on the seal pelts. It was better to board rather than walk home each night after the long day's work. The money earned got their families through the spring. Nights in the boarding house saw the friends sat around joking, telling stories, playing cards. The meals served included copious amounts of beans, prepared various ways, a cheap but filling meal served with rustic, thick slices of bread. My grandfather, of course, didn't need beans to supplement his passage of gas. One night in particular, he regaled his friends with the loudest, longest fart they had ever heard. One commented, " I hope Lindberg has already passed over, Gus, because if he isn't, you just shot him down." The story was repeated long after my grandfather died. There you have it. My grandfather had a connection to the Lindberg flight from New York to Paris, May 20-21, 1927. History in the making. Source material: The 1914 Sealing Disaster: 100 Years Later, CBC News, March 30, 2014. A family note today, our own history in the making: Frank and Michele's daughter, Samantha, my niece, is participating in the Canadian Powerlifting Championships today. Samantha gives a whole new meaning to the term 'strong woman.' Happy lifting, Sam!